Well I'm happy to tell you that we have been putting the LeapBand through it's paces and I'm finally ready to share with you all what the girls and I made of it. It is the first wearable activity tracker for children, designed to not only get them learning but to keep them active whilst having fun too. 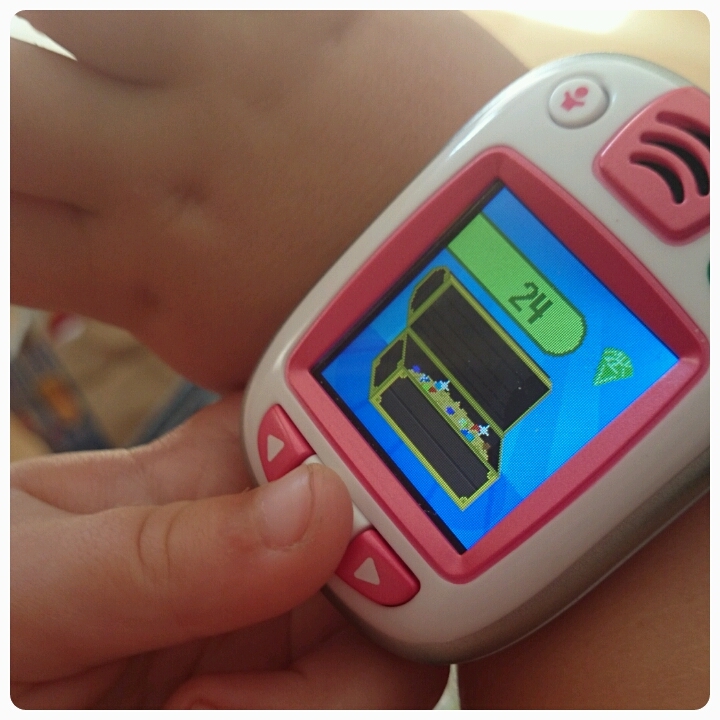 It combines virtual pet play with physical activities and even doubles up as a watch!! 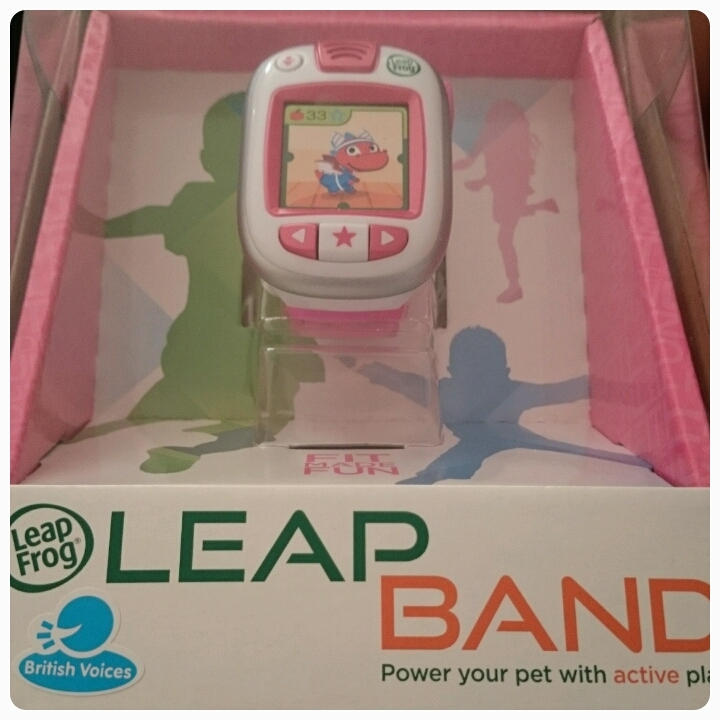 We received the LeapBand in pink but it is also available in green, blue and orange as well, making it suitable for boys and girls. In the box you get the LeapBand itself, an instruction booklet and a USB cable. Before using the LeapBand, you need to set it up. For this you will need a computer and a USB (which is provided). The process is easy, simply attaching the LeapBand to your computer using the USB and following the on screen instructions, this took around 10 minutes to complete, although it felt like forever where the kids were concerned!! 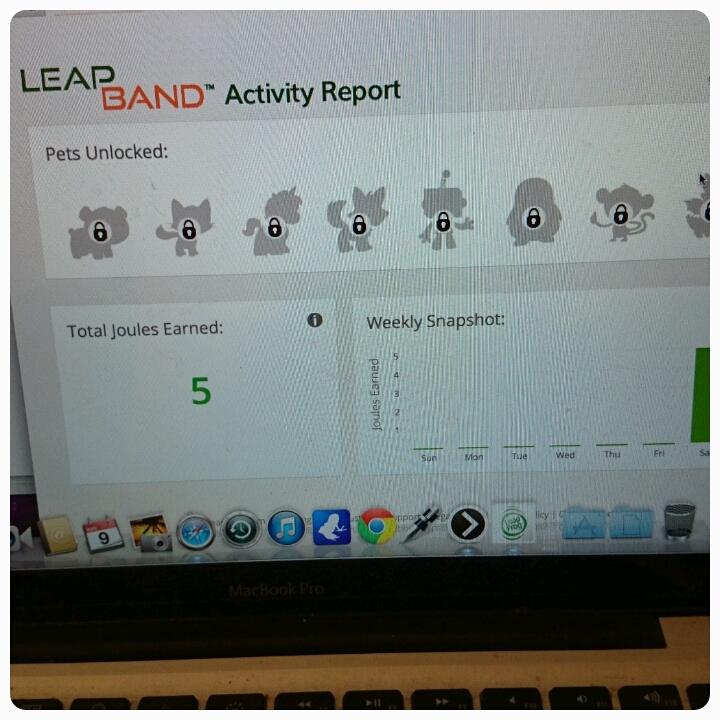 Once set up, you have an online profile avaialable to you which allows you as a parent to track exactly what your child has been doing and allows your child to see how many points they've earned and which pets they've unlocked. The LeapBand is designed primarily for children aged between 4 and 7 but this doesn't stop older and younger children using it too as the strap is extremely adjustable fitting even the tiniest of wrists. My kids ages range between 2 - 8 and each of them enjoyed joining in with it to some degree. 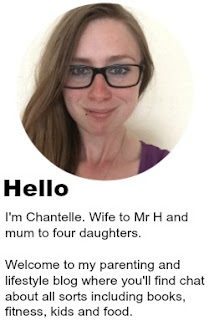 There are up to 50 audio challenges which you as the parent can set up on their LeapBand to complete. When your child completes certain challenges, they earn points and also unlock more challenges, pets and rewards. And with an energy bar on the side of the screen allowing them to see their progress, the LeapBand is a really great motivator to keep them moving. Each pet they unlock, they get to feed them and learn about healthy eating habits as well as getting to bathe and groom them, I think this teaches them a little bit about responsibility too. And the play doesn't stop there, you can download the Pentathlon Games to play on either your LeapPad, iPad or android tablet and rewards that you get from playing these games can be synced back to the LeapBand earning you even more rewards. 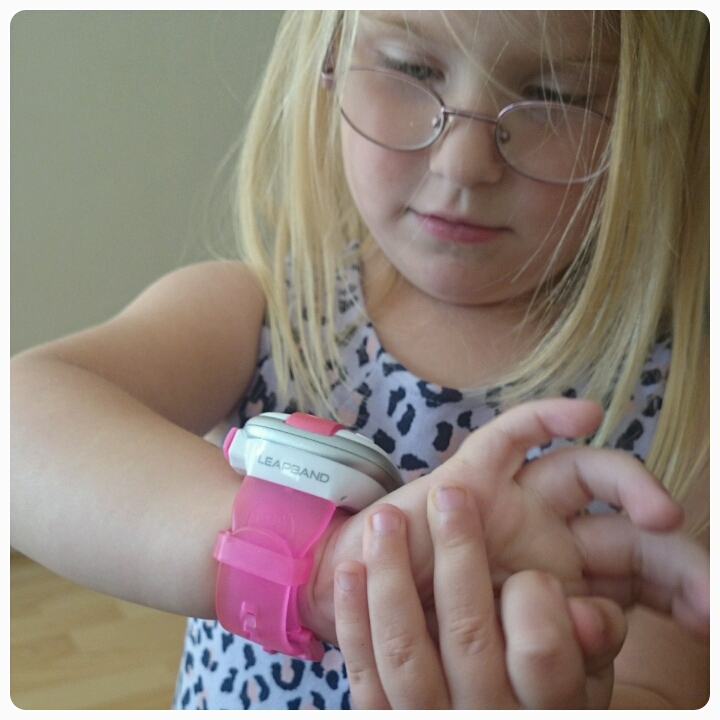 When not playing, your child can use the LeapBand as a watch, so if your children don't already know how to tell the time, this is a fun way to teach them all about it. One thing that I really liked from a parents point of view is that you can set up times in which they aren't allowed to play on it, whether that be school time or bed time, that way there is no way they can sneakily play on them when they are supposed to be doing homework or going to sleep!! Also an added bonus for any parent, the LeapBand is fully rechargeable so no need to keep paying out for those pesky batteries. Overall I have nothing but positive things to report. The LeapBand is priced at £29.99 and I have to say, I think it is well worth the money. 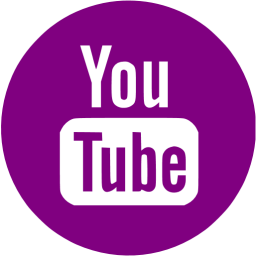 With no additional equipment required and extra challenges and activities available to download for free, it really is great value for money. 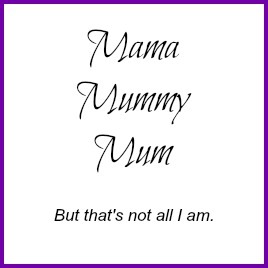 I have had my girls running, jogging and sometimes jumping up and down my living room whilst giggling away at the challenges which are being set for them. Hours of entertainment has been provided and they've been exercising without even knowing it!! 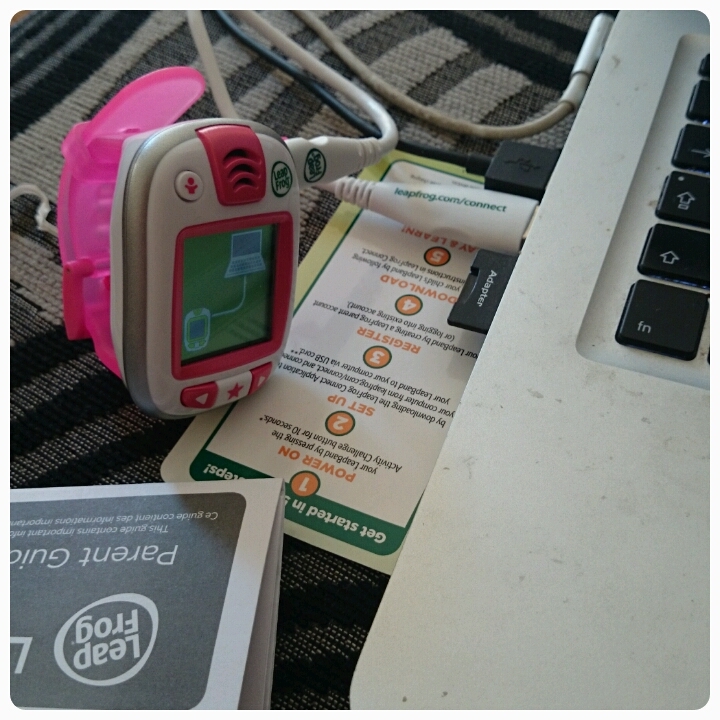 LeapFrog have certainly put the active into interactive. Disclaimer : I was sent the LeapBand FOC for reviewing purposes however all thoughts and opinions are my own. This looks like a great little gadget for the little ones. 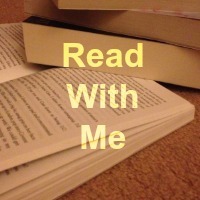 :) And at that price well worth thinking about. Love, love, love that whilst gadgetty and techy it's actually encouraging movement. Ace.